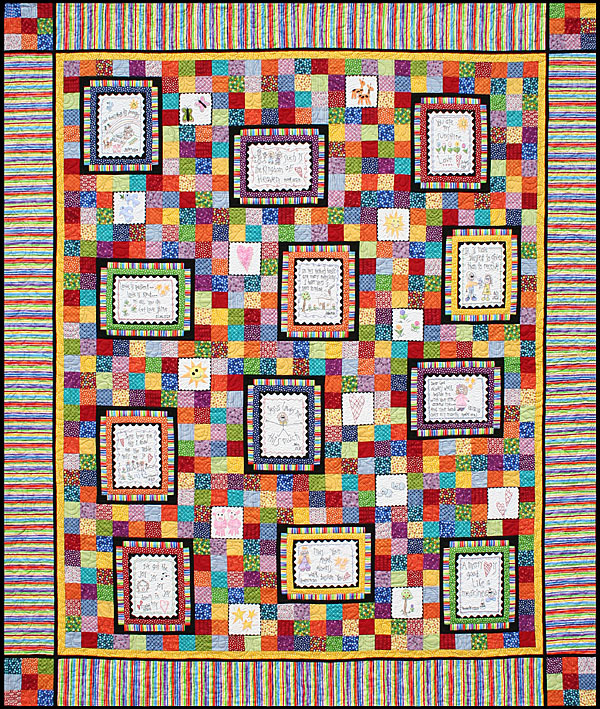 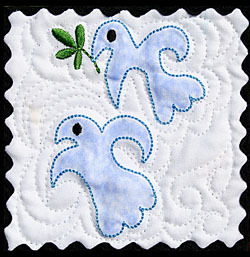 Love Covers disk contains all 12 stitchery blocks from our popular Love Covers book, plus 13 accent designs and the quilt label. 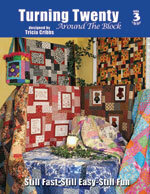 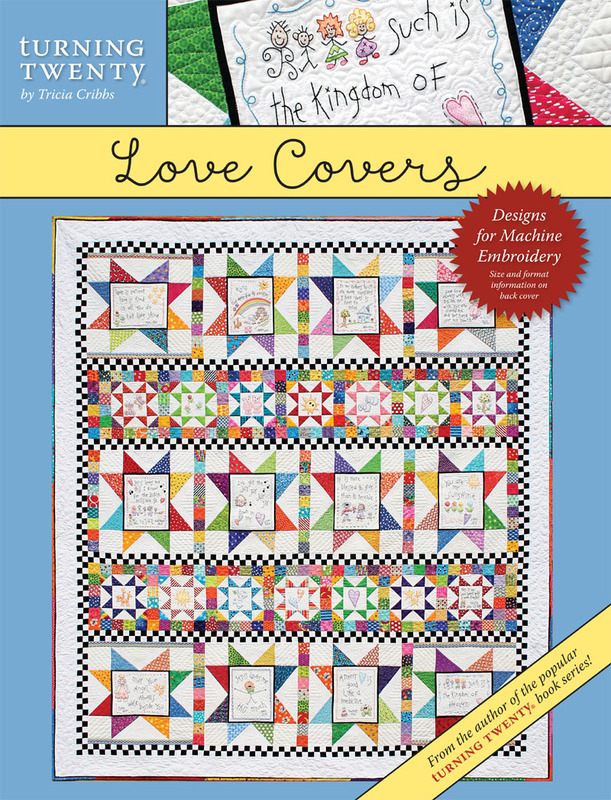 Also included are TWO quilt patterns: first is the pattern for making Tricia′s new Love Covers quilt shown on the front cover and second is Tricia′s Love Covers quilt from the original Love Covers Book (click here to see an image of the quilt). 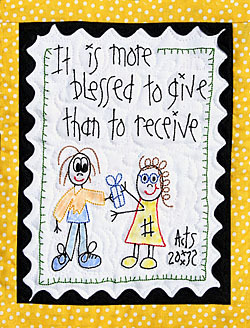 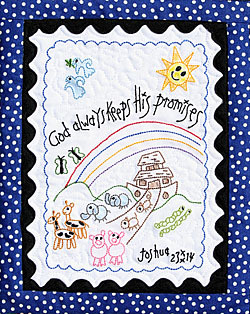 On this disk you may choose to stitch out the designs in full color (shown below), or stitch them out in Redwork as they are shown in the Turning Twenty® Around the Block book. 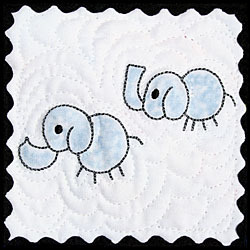 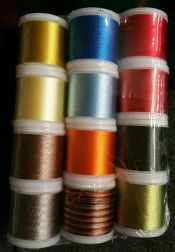 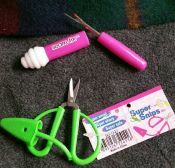 You will also be able to stitch the designs in 3 sizes. 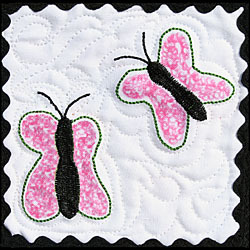 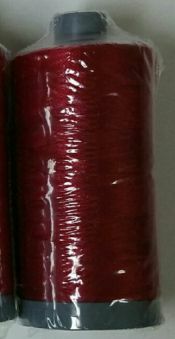 This disk is jam packed with capabilities that you will enjoy stitching on a variety of projects.